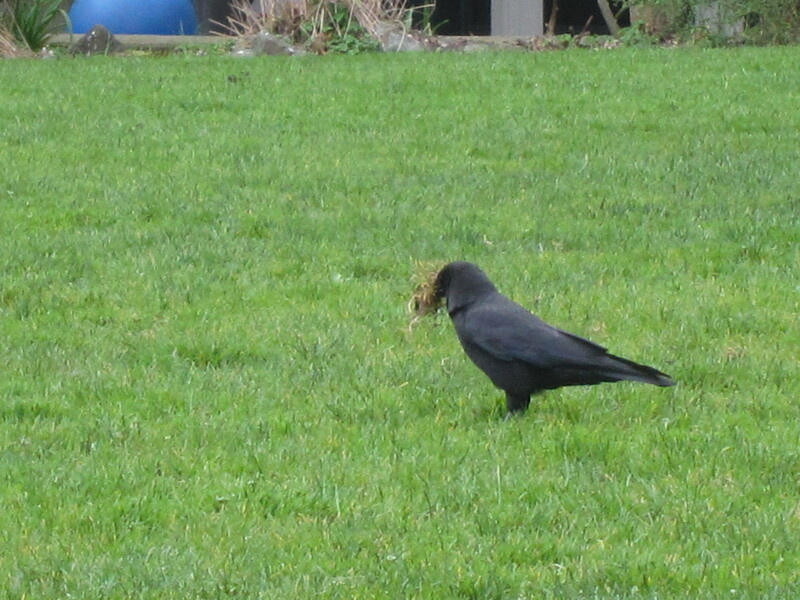 Spring is here which means the crows are busy building nests and I need to get busy starting my research! Although the details of my project are evolving the central question remains: Do crows use dead conspecifics (animals of the same species) as a cue of danger and can they infer novel dangers based on their proximity to dead crows? 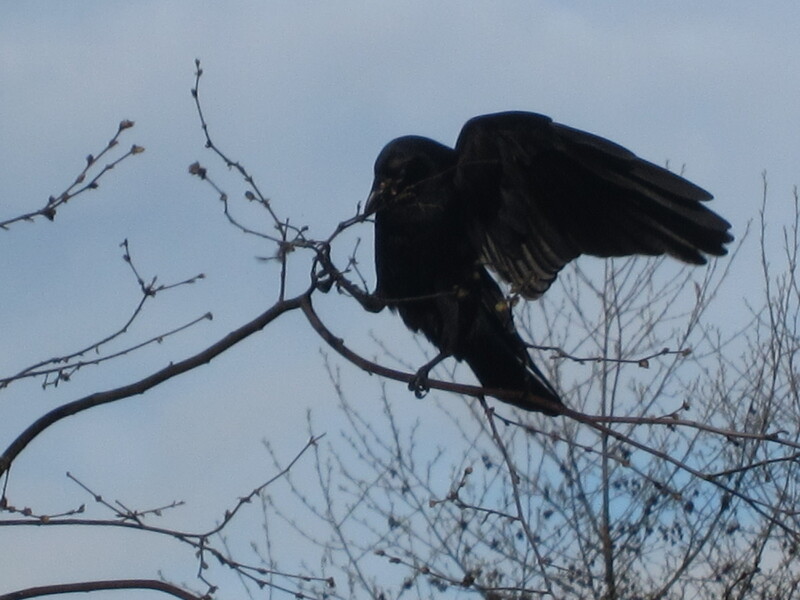 This research speaks to the broader inquiry into the purpose of crow funerals. Although there’s mounting evidence already in favor of the first part of my question, the second remains untested. By establishing predictable feeding sites and then introducing various dangerous stimuli, I hope to more clearly identify what information they acquire through these interactions. Before I can do that, however, I need to establish the various places around town where I will be setting up my feeding sites. So it’s been a whirlwind week searching for nests and establishing territories! I’ve learned a lot about their nesting behavior in this short time-and come up with a lot of new questions. Although they’re active throughout the day the busiest time is early morning and late afternoon/evening. The key behaviors to look for are stick breaking or spotting them flying with nesting material in their bills. Then it’s just a matter of hoping they’ll fly to their nest. Often, the most frustrating thing is eagerly waiting for a bird to take off with its stick , only to watch it casually drop the nesting material and start doing something else. Maybe they evaluate some aspect of the stick after they break it off and if it doesn’t cut it they toss it. Or maybe they’re just clumsy. Either way it will test your patience! They can also be very wary of onlookers. Although some birds are quite bold in their trips to and from the nest other birds, especially our banded birds, will start building “false nests” if they find youwatching. Although trying out a few nest trees before choosing the one is par for the course, the behavior is exasperated if they feel observed. I’ve been lucky to have so many keen observers send emails in with sightings of banded birds in the are building nests-it’s been a big help in identifying good study sites. I welcome emails with observations and questions as these are often the building blocks for interesting research topics. Keep your eyes open and enjoy the nest searching!